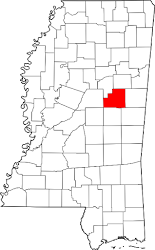 Thank you for visiting the Winston County, Ms. website. This site has been developed as a public service to the citizen and visitor alike to provide an overview of the functions and services provided by Winston County government offices and elected officials. You will find important contact information, answers to frequently asked questions and links to community sites as well. Thank you for allowing us as elected officials and county employees to serve your interests. Our Links page has a vast array of information on additional services, businesses and recreation in our area. This website is part of a Community Web Integrated Network for Winston County. copyright 2015 winston county, ms. Powered by Blogger.